The latest round of live TV fixtures have been announced and Liverpool vs Tottenham and Arsenal vs Manchester United are among those chosen. Arsenal and United are set to face-off at the Emirates Stadium this evening in the fourth round of the FA Cup but they’ll do battle once again in the Premier League in March. Unsurprisingly, that game has been selected by Sky Sports and will now be shown on Sunday 10th March at 4.30pm kick off. 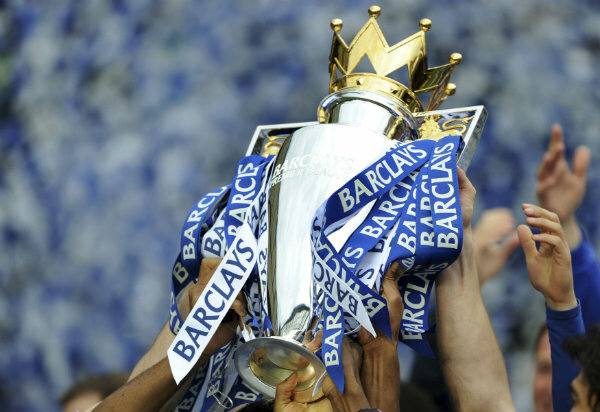 The match will come shortly after Chelsea entertain Wolves at Stamford Bridge with that game also in front of the Sky Sports cameras with Liverpool vs Burnley in the 12pm slot on BT Sport. 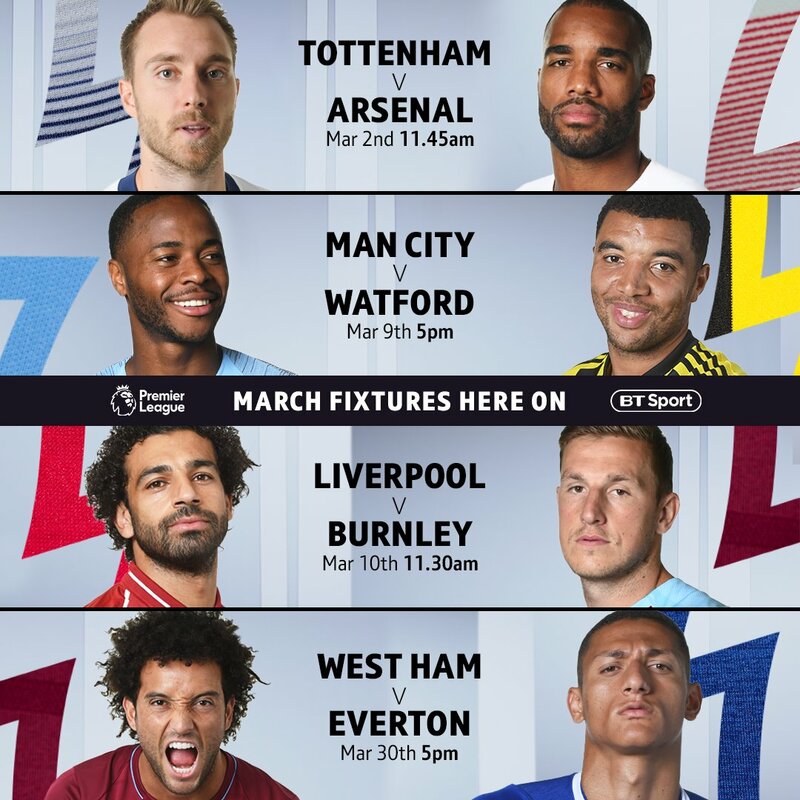 Tottenham kick off March with a huge North London derby against Arsenal as the fierce rivals will now do-battle at Wembley live on BT Sport on Saturday March 2nd, kicking off at 12.30pm. The Merseyside derby will be shown on Sky Sports with that match now scheduled to be played on Sunday March 3rd at 4.15pm after Fulham take on Chelsea at Craven Cottage. Manchester United will take on Manchester City in a huge derby at Old Trafford in March with the game currently scheduled to be played on Saturday 16th at 12.30pm – although this will be rescheduled again if either club is still competing in the FA Cup. Tottenham will travel to Anfield to take on Liverpool in late March with that game now scheduled to be played on Sunday 31st at 4.30pm live on Sky Sports after Chelsea take on Cardiff in the 2.05pm slot.